Dwarfism is a genetic condition which causes a foreshortening of the chest area and a smaller than usual adult size. 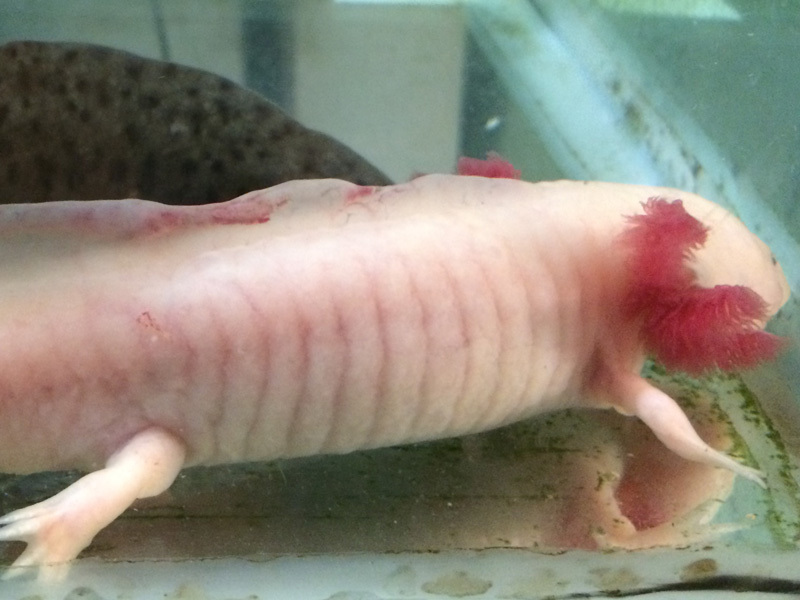 Limbs may also appear shorter than usual, although the axolotl’s fingers and toes keep a normal appearance. Dwarfism can lead to health issues and shortened lifespans, particularly in females, due to the large number of eggs they carry. Dwarf axolotls should never be allowed to breed, and may need to be housed separately to avoid getting picked on by larger adults. A mini axolotl is one whose growth stops before reaching adult size, which can be the result of genetic issues (often due to inbreeding) or stunting due to poor husbandry. Minis may be normally proportioned, or have a somewhat smaller than average tail, with normal chest and limbs. Just like dwarves, minis may require separate housing, and it is preferable not to breed them. 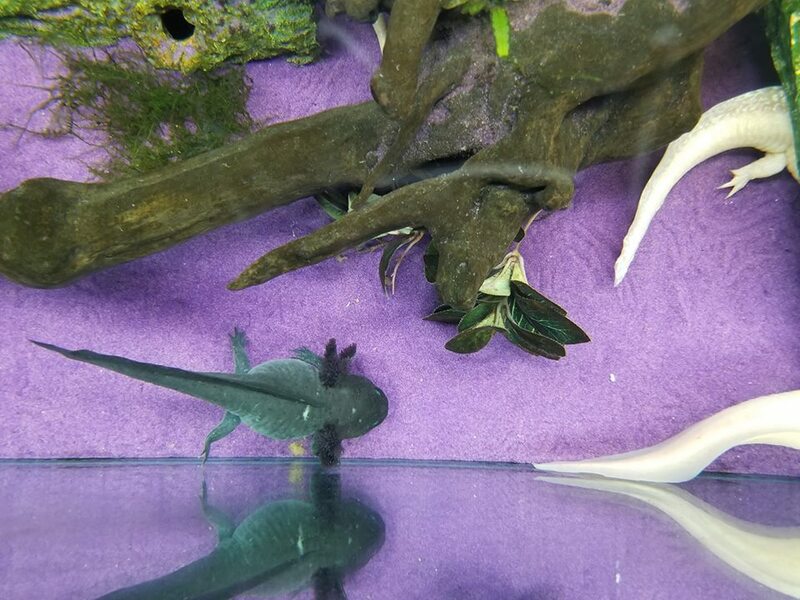 Axolotls with short toes syndrome look similar to dwarves, but they have short fingers and toes that give their hands and feet a padded appearance. Over time, they develop a pudgy appearance due to oedema, an accumulation of interstitial fluid within the body tissues, which causes bloating of the entire body (pictured above). Short toes syndrome is a very serious and irreversible condition which invariably leads to painful oedema, hemorrhages and organ failure. 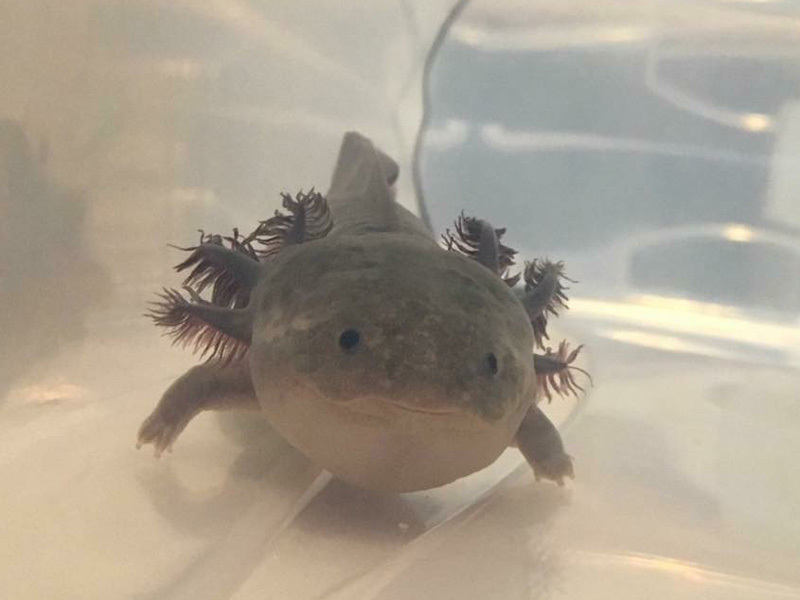 To prevent unnecessary suffering, axolotls affected by this condition should be euthanized as soon as the condition is detected. 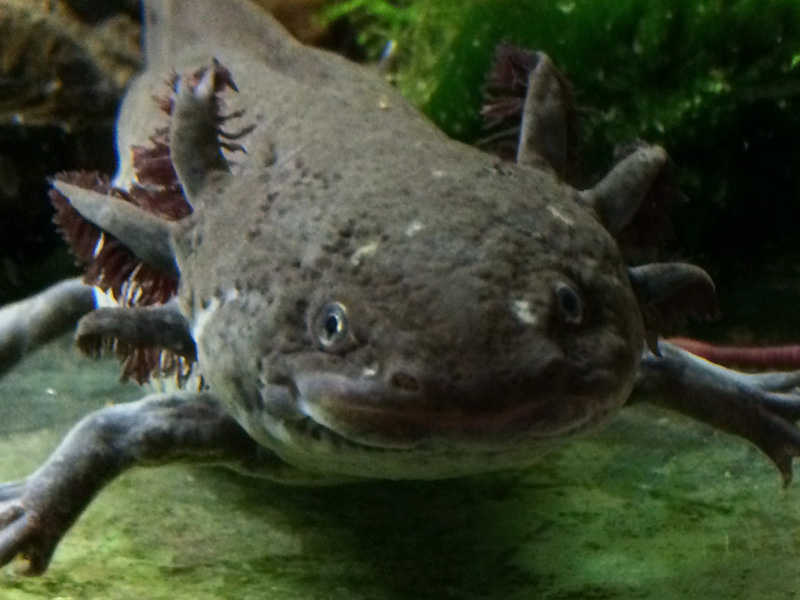 This is a quick reference list of common health issues, as well as axolotl-safe treatments. I will add to this article little by little. If you’d like me to talk about one illness in particular, please email me. Deformation of the caudal fin and bleeding due to ammonia poisoning. In the presence of some or all of the above symptoms, test ammonia levels. If any ammonia is detected, the animal is almost certainly suffering from ammonia poisoning. Ammonia poisoning is either due to new tank syndrome or improper husbandry (infrequent water changes, overcrowding, overfeeding, or using inadequate filtration). If the cause is new tank syndrome, follow the treatment instructions listed below. Otherwise, you will need to find the cause of the problem and fix it. Daily 50% water changes and the addition of conditioner every 24 hours will keep your animals safe until the issue is resolved. Keep testing the water for ammonia every 24 hours until no more ammonia is detected. To prevent the situation from reoccuring in the future, I highly recommend testing ammonia once a week. If ammonia and/or nitrites are present but nitrates are also high (>40 ppm) and none of the other conditions apply, a more likely diagnosis is ammonia poisoning and/or nitrite poisoning due to improper husbandry (infrequent water changes, overcrowding, overfeeding, or using inadequate filtration). Uncycled aquarium (lack of nitrifying bacteria in the filter) leading to ammonia poisoning and/or nitrite poisoning. Daily water changes and addition of conditioner as needed until the aquarium is properly cycled. The addition of seeded filter media or a bacterial additive is strongly recommended. In the presence of some or all of the above symptoms, test nitrite levels. If any are detectable, you can assume that the animal is suffering from nitrite poisoning. Frequently occurs as part of new tank syndrome or as the result of a cycle crash (e.g. after a power failure). May also be due to overstocking, the presence of something rotting in the tank, or infrequent water changes. Daily water changes and addition of conditioner as needed until the aquarium is properly cycled. The addition of seeded filter media or a bacterial additive is strongly recommended. Make sure the tank isn’t overstocked and that partial water changes are conducted at least once a week. Raised white or grey lesions that have a soft appearance, like cotton wool. Typically start as small circles on the axolotl’s head or gills, then grow larger and merge as the disease progresses. Compromised immune system due to stress, reducing the animal’s natural resistance to saprolegnia (a fungus whose spores are naturally present in virtually all water sources). May appear as a secondary infection if the axolotl is already battling another illness. The visual cues are usually pretty obvious. In the presence of some or all of the above symptoms, your veterinarian may conduct a skin scraping to identify Saprolegnia’s hyphae (a root-like structure) under a microscope. Eliminate potential stress causes such as improper housing conditions, poor water quality (especially in an uncycled aquarium), high temperatures, aggressive tankmates or strong water flow. 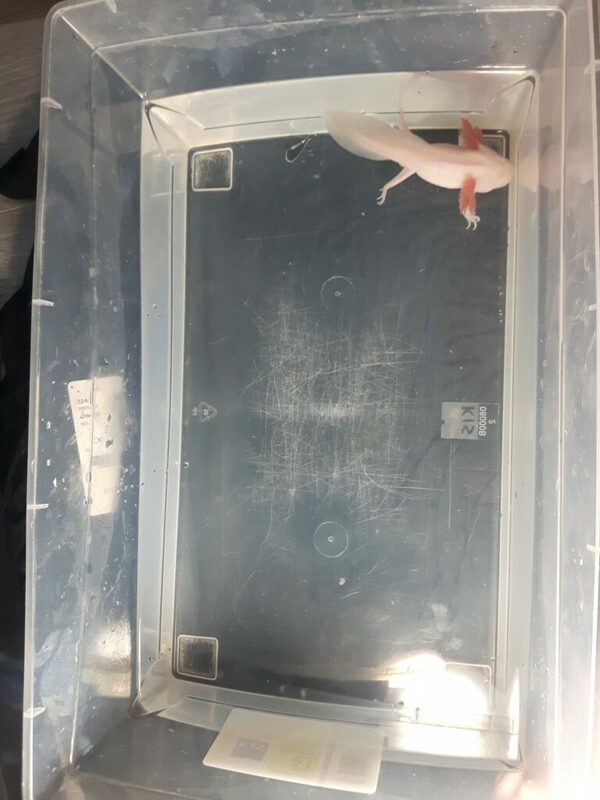 If the axolotl is on the verge of laying eggs or recovering after egg-laying, it may help to isolate her and lower the temperature slightly to help her recuperate. The same applies to an axolotl who is in the process of regrowing a limb. In advanced cases, salt baths are recommended. Short toes is caused by a genetic mutation, which results in skeletal, renal and urogenital malformations. The afflicted animals have shortened lifespans, eventually suffering from painful edema and kidney failure. The shortened toes are a sufficient cue. Unfortunately, not much can be done to alleviate the issues caused by the mutation. Studies suggest Holtfreter’s solution may help for a time, but it may be kinder to euthanize the animal to spare it further suffering. Alternatively, you may consider donating your axolotl to a university, as short toes axolotls are important to limb regeneration research.